CarGurus has 8,384 nationwide S-Class listings starting at $2,495. As Mercedes-Benz's flagship sedan, the 2009 S-Class delivers a high level of luxury, the latest technical innovations, and off-the-chart performance, especially the AMG-tweaked trims, which come equipped with powerful engines that turn the sedans into road rockets. Some drivers have reported reliability and quality-control issues with the '09 S-Class trims, requiring frequent trips to the dealer for repairs, while others find the S-Class's handling lacking compared to luxury sedans from BMW and Audi. Given their sky-high pricetags, S-Class sedans appeal to knowledgeable, demanding, and deep-pocketed drivers who know what they want from a luxury sedan and expect a lot from Mercedes-Benz, and on most levels, the S-Class delivers, providing a high level of luxury and comfort that many find unmatched. However, reports of reliability and maintenance problems are a cause for concern, especially given Mercedes' usual reputation for quality. Drivers willing to put up with possible quality issues will be well rewarded with one of the most capable and powerful sedans on the planet. Mercedes-Benz made minor updates to its flagship S-Class sedans for 2009. Upgrades across the line include new power window switches, as well as redesigned buttons on the steering wheel for controlling the transmission's Touch Shift feature, which drivers can use to manually shift the automatic transmission. The automaker also updated the S550 and S550 4Matic trims by equipping them with the Premium 1 package, which adds ventilated front seats, a wood and leather steering wheel, and an electronic trunk closer at no extra charge. In addition, the optional Distronic Plus Package, which includes Adaptive Cruise Control, now comes with a parking guidance system and a Blind Spot Assist system. The system sounds an audio alarm if the driver attempts to change lanes when another vehicle occupies the driver's blind spot. The '09 S-Class retains the shapely styling of the previous year, with flared wheel arches and a V-shaped trunk lid, which give the sedans a muscular yet refined appearance. Mercedes offers the S-Class in five trims for 2009, including the S550, the S550 4Matic, the S600, the S63 AMG, and the S65 AMG. All trims seat five passengers and are rear-wheel-drive vehicles, except the all-wheel-drive S550 4Matic. The rear-wheel-drive S550 sedan jumps out from 0 to 60 in 5.4 seconds, thanks to its 5.5-liter, 382-hp V8 engine, which generates 391 lb-ft of torque and provides 75 percent of its torque at just 1,000 rpm for aggressive acceleration. The engine links to a seven-speed automatic transmission with Touch Shift. The V8 manages 14/22 city/highway mph and runs on 91 octane premium unleaded fuel (as do all the S-Class engines). The S550 4Matic trim adds Mercedes' all-wheel-drive system, which features a permanent 40/60 split when applying torque between the front and rear wheels. The system includes a four-wheel Electronic Traction Control System (4-ETS), which reduces engine power and applies individual brakes as needed when it detects wheel slippage to help drivers maintain control of the vehicle. Fuel economy for the S550 4Matic checks in at 14/21. Stepping up a notch, the S600 sedan retains its powerful 510-hp, 5.5-liter V12 bi-turbo engine, which has two compact turbochargers that provide impressive low-end torque (612 lb-ft at 1,800 to 3,500 rpm), driving the sedan from 0 to 60 in just 4.5 seconds. Mercedes designed the turbochargers to minimize turbo lag for nearly instantaneous response when the driver steps on the pedal. 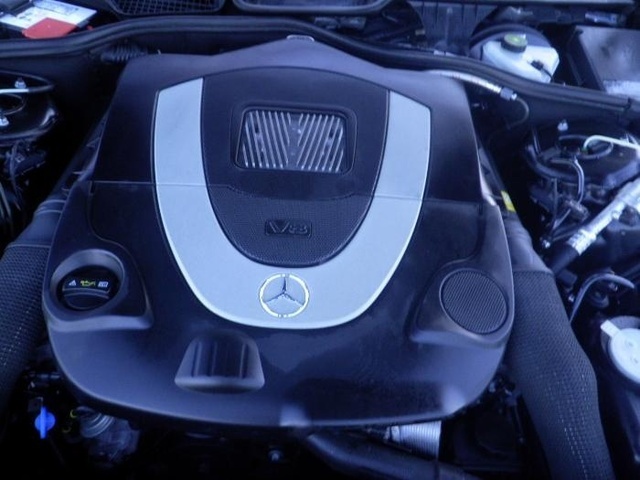 The V12 engine also features two liquid-to-air intercoolers, which provide more powerful combustion, according to Mercedes. The V12 links to a five-speed transmission designed to handle the engine's torque output. With all that power, fuel economy suffers a bit, falling to 11/17. At the top of the line, both the S63 AMG and S65 AMG are powered by AMG-built engines that deliver extreme performance, even by Mercedes' standards. A 512-hp, 6.3-liter V8 engine powers the S63. The engine develops 465 lb-ft of torque at 5,200 rpm, which drives the sedan from 0 to 60 in 4.5 seconds. The engine links to an AMG Speedshift Plus seven-speed automatic transmission with F1-inspired shift paddles located on the steering wheel, so drivers can manually shift gears when desired. The S63 posts fuel economy numbers of 11/17. The S65 AMG retains its 604-hp, bi-turbo 6.0-liter V12, which makes it the king of the hill in the power department and one of the most powerful sedans available today. It delivers a staggering 738 lb-ft of torque at 2,000 to 4,000 rpm. With all that torque, the S63 rockets from 0 to 60 in just over 4 seconds. Like the V12-powered S600, the S65 comes equipped with a specially designed five-speed automatic transmission, also equipped with paddle shifters for manual shifting. The S65 posts fuel economy numbers of 11/17. The S-Class delivers a superior ride and quick, responsive handling, thanks to its specially designed suspension, which features a four-link configuration with gas-pressurized shock absorbers in the front and a five-arm multilink design in the rear with anti-squat and anti-drive controls. The S550 and S550 4Matic come equipped with an Airmatic Semi-Active Air Suspension system with Adaptive Damping, which automatically adjusts the air springs to ensure optimal ride and handling in all types of road and driving conditions. The Air Suspension system also levels the vehicles to accommodate for varying cargo or passenger loads and lowers ride height at higher speeds to improve aerodynamics and fuel efficiency. The S600, S63 AMG, and S65 AMG replace the Airmatic system with an Active Body Control system, which uses a series of sensors and high-pressure hydraulics to minimize body roll during cornering. The system also continually adjusts the suspension at each wheel to reduce vibration, dive, and squat, and stiffens the outer suspension when cornering to improve control and passenger comfort. The Active Body Control system comes with a four-wheel level control and a driver-selectable ride height. All trims come with power-assisted, speed-sensitive rack-and-pinion steering. In addition, to ensure dynamic handling, the S-Class's front axle assembly, front suspension, and steering gear are all pre-assembled along with the engine and transmission on a rigid steel subframe, according to the automaker. The S550 and S550 4Matic ride on 18-inch wheels with all-season tires, while the S600 sits on 18-inch wheels with high-performance tires. The S63 AMG and S65 AMG ride on 20-inch wheels with high-performance tires. Although the S-Class sedans tip the scales at nearly 4,900 pounds, their powerful engines move all that weight ably and swiftly, making the S-Class feel like a smaller car, according to some reviewers. All trims feature supportive and multi-adjustable leather seats that keep passengers comfortable over long distances. Although the S-Class has a spacious, quiet, and comfortable cabin, interior storage spaces are limited. The interior of the S-Class sets the standard for just about any other car on the road today, not only for its use of quality materials and its high level of luxury, but also for its cutting-edge technology. Mercedes uses the S-Class to introduce all its latest technology, including such features as night-view assist, which uses infrared to detect objects up to 500 feet in front of the vehicle and display them on a black-and-white screen on the instrument cluster. It's available as an option on the S-Class sedans. Another high-tech option is Distronic Plus Adaptive Cruise Control, which maintains a set distance behind the car ahead, automatically slowing and speeding up the car. The S-Class's standard features are no less impressive. The S550 and S550 4Matic come equipped with 14-way power-adjustable front seats, leather upholstery and trim, three-level heated front seats, a power tilt-and-slide sunroof, and hand-polished Burl Walnut wood trim. It also includes a 14-speaker, 600-watt Harman/Kardon digital surround-sound audio system, a navigation system with a 20GB in-dash hard drive, and the COMAND Cockpit Management and Data system, which acts as an interface to all of the sedan's audio, climate control, and tech systems. Criticized for being too complicated in past years, the COMAND system was simplified in 2008 to make it more user-friendly. Other nice features that demonstrate the S-Class's luxury status include a programmable easy-exit feature, which automatically slides back the driver's seat and raises the steering column to make exiting the vehicle easier, and four illuminated vanity mirrors, including two in the rear-cabin ceiling for rear-seat passengers. The S600 sedan adds such luxury amenities as Drive-Dynamic multicolor front leather seats with a four-stage massage function, heated rear seats, a panorama sunroof, and power rear slide window shades. The S63 AMG and S65 AMG add AMG sport seats with Passion leather and contoured side-bolster seats, an ergonomic sports steering wheel, an AMG sport-oriented instrument cluster, and AMG brushed stainless-steel sports pedals with black rubber pads for grip. As befits Mercedes' flagship vehicle, the S-Class comes with a wide range of security, stability, and safety features, including power-adjustable front head restraints and locater lighting, which uses the car's lights to illuminate a return path for passengers when the car is locked after dark. The S-Class also comes equipped with the Pre-Safe system, which automatically closes the windows, adjusts seat belts, and positions the front passenger seat for optimal airbag deployment if it detects a potential emergency situation. To protect passengers, the S-Class also comes equipped with an eight-airbag system, including dual-stage front airbags, front and rear side-impact airbags, and full-length window curtain airbags, which protect against broken glass as well as head injury in the event of an impact or rollover. Other standard safety features include antilock brakes, all-speed traction control, an electronic stability system, and brake assist, which aids drivers by delivering maximum stopping power in an emergency. Optional safety equipment includes a wide-angle rear backup camera and the Parktronic system, which uses ultrasonic sensors to aid drivers when parallel parking. Perhaps due to the high cost of the sedans, the S-Class trims have not been safety tested by either the National Highway Traffic Safety Administration or the Insurance Institute for Highway Safety, so those ratings are not available. However, given Mercedes' reputation for safety features, the S-Class sedans would no doubt rate highly in frontal and side-impact crash tests. The biggest gripe owners have with the S-Class trims concerns overall value. While many owners agree the S-Class trims deliver a high level of quality and craftsmanship, many feel the S-Class does not deliver the level of handling and features some competitive vehicles, such as the BMW 7 Series and the Audi A8, offer. In addition, a number of owners have reported reliability and mechanical problems with the S-Class trims, requiring frequent and expensive repairs. On the flip side, the S-Class delivers a smooth, quiet ride and a roomy, comfortable cabin with an equally spacious trunk, owners report. In addition, owners of the S-Class AMG trims like the way the cars handle when equipped with a sport suspension. CarGurus owners give the S-Class very good marks, especially the S550 4Matic trim, which delivers good performance and a high level of luxury. CarGurus owners also like the S-Class's comfortable seats and audio systems. 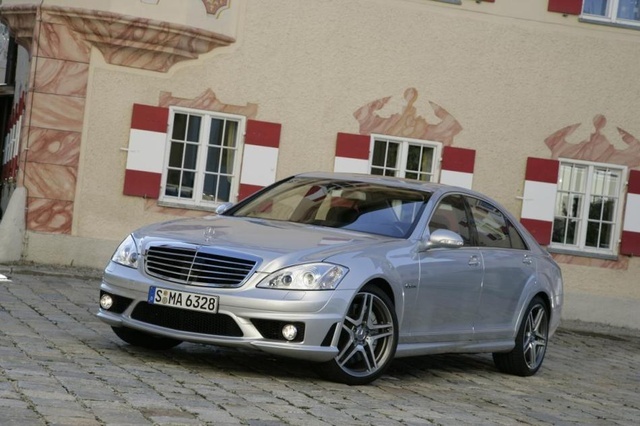 What's your take on the 2009 Mercedes-Benz S-Class? Users ranked 2009 Mercedes-Benz S-Class against other cars which they drove/owned. Each ranking was based on 9 categories. Here is the summary of top rankings. 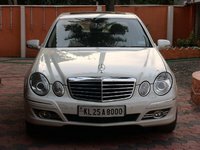 Have you driven a 2009 Mercedes-Benz S-Class? Can anyone advise where the fuse is for the drivers side folding mirror? Mine is stuck in the closed position. Can you also advise if his is more likely to be a motor issue and not fuse related? I Got A Couple Inquiries. How To Reach Out To Those Parties ? I need to find the fuse for the windshield washer pump for my 2009 S550 4MATIC. If someone could provide the location or the entire fuse chart(s) I would greatly appreciate it. Thanks in advance.